Home Arabic What next as battle against ISIL nears an end? It is the moment Abu Jaber al-Shaiti has waited for more than four years. A few more hours, a few hundred metres, and he will have his revenge. In 2014, as Islamic State of Iraq and the Levant (ISIL, ISIS) expanded to Syria through the Iraqi border, Abu Jaber’s kin in the al-Shaitat tribe stood up to challenge the group’s designs on their oil-rich lands. ISIL hunted down 700 to 1,000 men, shot some and beheaded others, and even filmed their slaughter to serve as a lesson for the rest. With 90,000 members, the al-Shaitat tribe controlled several villages along the Syria-Iraq border. But they could not win that war. At the time ISIL was at its peak and held an area the size of Britain. Abu Jaber was forced to go on the run. Now, the group is holed up in a 1sq km area in Baghouz village in eastern Syria’s Deir Az Zor province. Abu Jaber is on the other side of the front line, commanding 1,000 of his tribesmen, trigger finger at the ready to mete out their form of justice. ISIL’s defeat is a moment of great regional and global significance. However, for the sons, nephews and cousins of the al-Shaitat men who were massacred, it is an intimate affair. Abu Jaber joined the Kurdish-led Syrian Democratic Forces (SDF) because he wanted to help wipe out ISIL, thereby honouring the tribal code and regaining his confiscated property. The victory also has levelled towns and villages and left hundreds of civilians dead. As the SDF swept across eastern Syria and finally into the last besieged enclave, thousands of civilians have fled to camps for displaced people. Not all have found safety. The International Rescue Committee (IRC), which is working in the camps, told Al Jazeera that people were being forced to walk up to 30km to the screening point where the SDF assesses their links to ISIL before releasing them. Most of those travelling are women carrying children and unable to cope with the perilous journey to the camp. IRC said as many as 51 people had died either en route or soon after reaching the camps. Wendy Taeuber, IRC’s director for Iraq and northeast Syria, said hundreds of people were arriving at the al-Hol camp in al-Hasakah Governorate every day and many more were expected, putting pressure on the already feeble aid infrastructure. 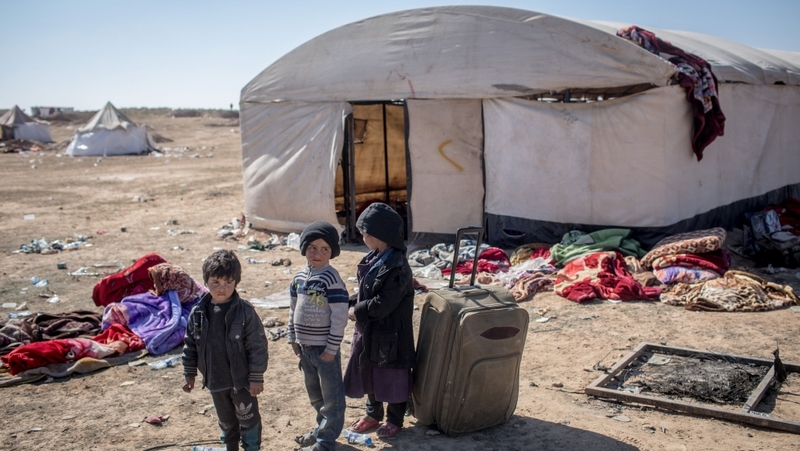 On Tuesday, 500 more civilians fled Baghouz. At least 16 more were killed in coalition air attacks, according to the Syrian Observatory for Human Rights (SOHR), a UK-based war monitoring group. Laylawa Abdallah, a spokeswoman for Operation Jazeera Storm, defended the coalition and said fighting had been halted on several occasions to give a window for the civilians to get out. Abdallah added the pause in the fighting had nothing to do with negotiations over hostages ISIL may still be holding captive, as some suggested in reports. “We haven’t negotiated with Daesh [ISIL’s Arabic acronym] at all on any issue. Although for sure, Daesh is holding the captives in order to hamper the operation and increase pressure on us,” she said. However, Abu Jaber said SDF and ISIL were in fact engaged in talks. He said ISIL seemed divided over what it wanted in return for freeing the captives. Tens of al-Shaitat tribesmen could be among the hostages. Some Westerners, British journalist John Cantlie, and Italian priest Father Paolo Dall’Oglio are also said to be among them. The SDF struck a deal with ISIL in Raqqa in 2017 and under the US-led coalition’s watch gave safe passage to thousands of ISIL fighters with their weapons and family members. Those fighters have spread across Syria and may have even left the country, raising the possibility they may eventually pose a threat within Syria and to the outside world. In that case, such deals would do more harm than good. SDF suspects there are 400 to 600 ISIL soldiers still in the tiny enclave. The debate about what to do with them is even more relevant, with current concerns the group could revive itself within months through a guerrilla rebellion in both Iraq and Syria. SOHR estimated another 4,000 to 5,000 ISIL fighters were hiding in Syria’s Badia desert, to the west of the Euphrates River. General Joseph Votel, commander of US forces in the Middle East, said on Tuesday that ISIL still had “leaders, fighters, facilitators, resources and the profane ideology that fuels their efforts”. Bassam Barabandi, a former Syrian diplomat currently based in the US, enumerated several reasons why ISIL’s resurgence seems imminent. He said all the factors that led to the formation of the group in the first place were set to return, enabling them to go on another recruitment drive and enlist disaffected youth from around the world. The view resonated with other Syria experts. Throughout the nearly eight-year Syrian war, Arabs and Kurds have fought ISIL together. There are no guidelines or agreements on how to move forward when ISIL has left. Abu Jaber said the Arab-dominated governorates of Raqqa and Deir Az Zor would one day be administered by Arabs such as himself. The post-ISIL phase will have its own set of challenges and the road to stability is a long one. For now, the armed men of the al-Shaitat are holding their breath, counting the minutes before they secure their victory over the ISIL invaders. Only then can they go back home with pride restored, the al-Shaitat say.